Starting in Badia head south on the SP244 towards La Villa. In the town of La Villa, turn left at the first intersection in the direction of San Cassiano. Ahead of you is a short downhill. Then the road starts to climb towards San Cassiano and Passo Valparola. Here you have two options: you can follow the main road and skip the town of San Cassiano, or go through the center of San Cassiano. If you want to fill up with some water, you’ll find a water fountain near the church. Valparola hut – that’s not the top of the climb because the Passo Valparola road sign is a few km further. The top of Passo Valparola. You can continue on and you’ll head to Passo Falzarego that is located a bit below. Easy! You did 2 passes in 1! Passo Falzarego – on a beautiful day you should take the Lagazuoi gondola and admire the view of the entire Dolomites from an altitude of 2,752 m. From Passo Falzarego turn left in the direction of Arabba. A water fountain to fill your bidons is on the right side of the road. Turn right towards Arabba on this hairpin. The downhill is over. Now a gentle climb will take you towards the town of Arabba. On the left side of the road, in the main square of the town of La Plí de Fodom, you’ll find a water fountain. Shortly before of the town of Arabba there is another water fountain on the left side of the road. This place is called the “The Christ turn” because the fountain is on a turn and the water flows under the crucifix. 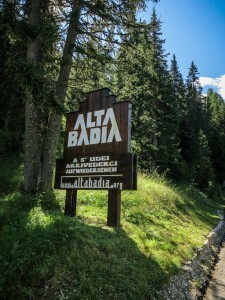 At the roundabout, keep to your right and follow the signs to Passo Campolongo. The details of Passo Campolongo can be found at this link. You did it! 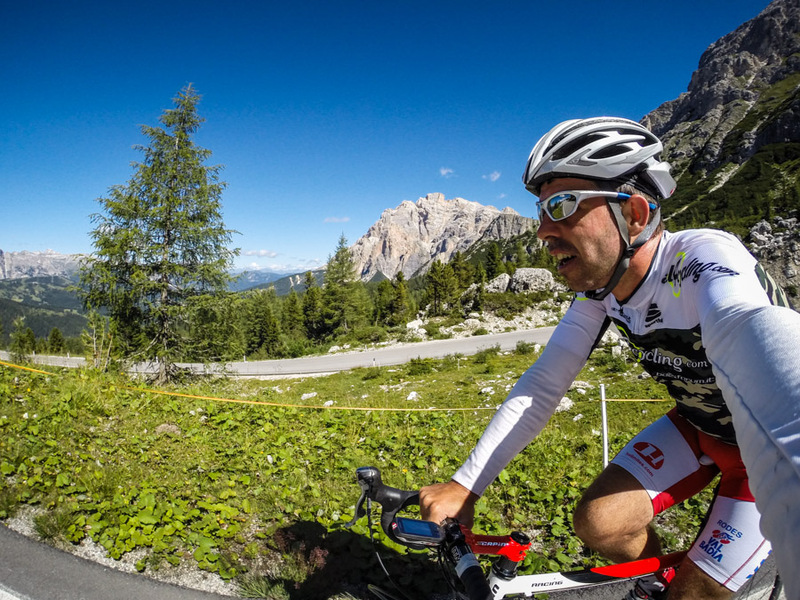 You reached the top of Passo Campolongo and now, ahead of you, is just a long descent back home. You’ll first ride through the towns of Corvara and then La Villa before returning back to Badia. Welcome back and we hope you enjoyed the Fodom loop!